“The Florida Project” actress Bria Vinaite (@chronicflowers) will take over IndieWire’s Instagram (@Indiewire) tonight from 5pm to 9pm during the inaugural IndieWire Honors ceremony in Los Angeles. In spring 2016, “The Florida Project” writer-director Sean Baker began his morning in the same way as many of us do when he suddenly discovered his star, Bria Vinaite. Baker contacted the woman, who lived in Brooklyn and had no acting experience. He sent her a plane ticket to Orlando, where she auditioned after touring the locations he’d scouted for his sixth feature. Three weeks of acting lessons later, just after Vinaite turned 23, she arrived on set with her own cyan strands and a chest full of lung-shaped flower tattoos. “I’m still very shocked that all this happened,” she said in a gauzy voice this week from a friend’s bed in her home borough. She’d just woken up and was still jet-lagged after attending Turkey’s Antalya International Film Festival, the latest stop in a press tour that has included England, Canada, France and at least five states. 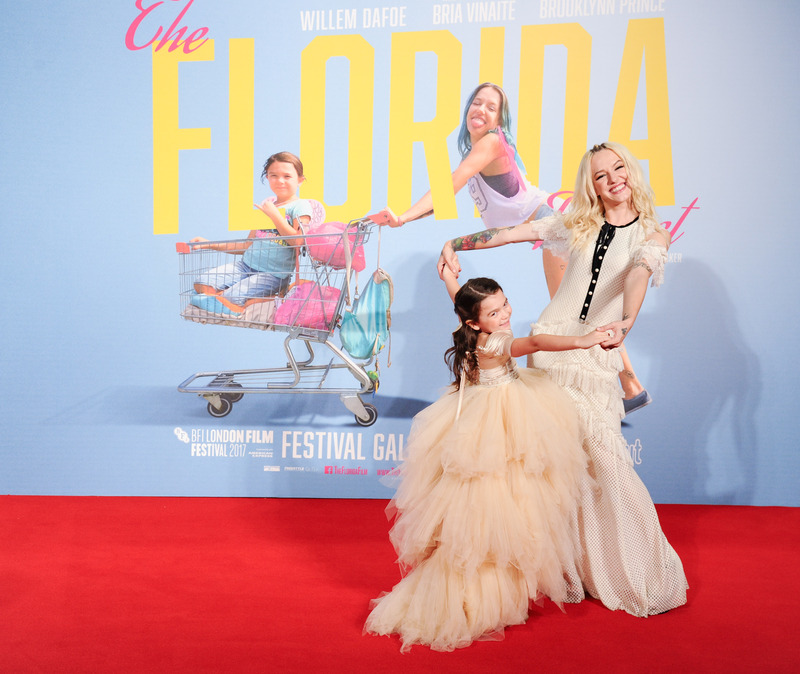 In “The Florida Project,” Vinaite plays Halley (pronounced “Hailey”), whom Baker envisioned as someone who dropped out of school around the time she hit puberty, fled a broken home, became a mother at 15, and never escaped the cycle of poverty. Although she directs tantrums at the adults in her life, Halley is also prone to playful rebellion, impersonating a resort guest to scam a free buffet breakfast, or frittering away her paycheck at the dollar store. She maintains likability even when doing terrible things, like taking selfies in front of a burning building. Vinaite’s abundant optimism is an American novelty in 2017. She wants to continue acting, particularly admires the career of Sarah Paulson, and said “The Florida Project” “makes me believe that anything in the world is possible because I never in my life thought I would be living this dream.” Expect her to be choosy about future projects, calling her debut film (Metacritic score: 92) “a hard one to top.” For now, her audition success rate remains at 100 percent. IndieWire Honors is presented by Vizio and DTS with premier support from Harold Ramis Film School at The Second City. Watch “The Florida Project” trailer below.